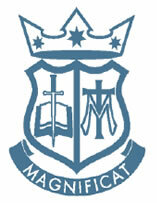 St Paul's Kealba Catholic School is a place where faith development is nourished. A commitment is made to education in faith by teachers and parents. Gospel values are taught through everyday living situations by staff, parents and other members of the parish community. Children learn the traditions and customs of the Church and the sacraments become the link between Catholic teaching and living. Our curriculum is aimed at catering for the individual needs of our students. This is achieved through thorough and regular assessment and explicit teaching that builds upon what the student knows and takes them to new learning. We provide age appropriate learning in Religious Education, Maths, English, Science, Health, History, Personal Development and Interpersonal Development in the regular classroom setting.